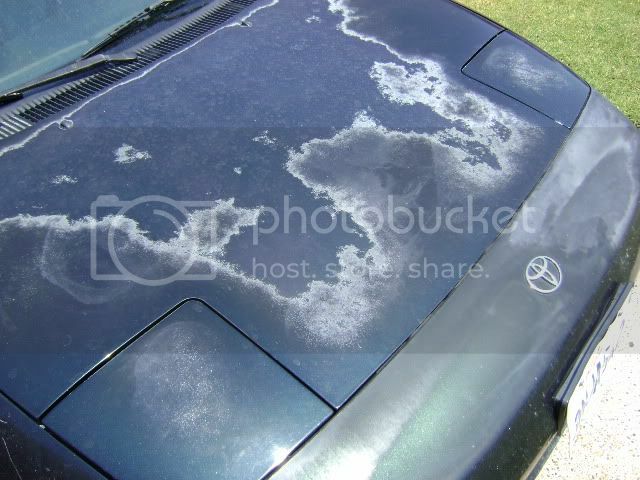 What is paint oxidation and clear coat failure? We’ve all seen instances where a vehicle’s paint has been neglected to the point the paint is no longer shining like when it rolled off the showroom floor. In fact that is the case for most vehicles we see on the road today. I would dare to say that most daily driver vehicles have a bit of paint oxidation going on. Unless you’ve had a ceramic coating installed or you have religiously waxed and/or sealed the paint on your car you’ve probably got some oxidation going on as well. 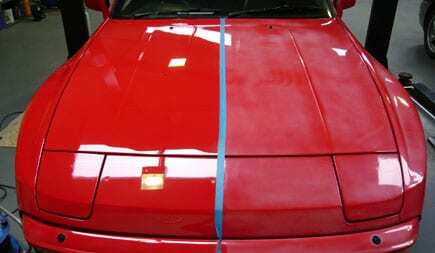 Oxidation, on vehicle paint, is when the sun, heat and the other elements wear down the surface of the clear coat (on a 2 stage paint job) and make it look faded or cloudy. In extreme cases it can become chalky and rough to the touch. In many instances this can be referred to as “clear coat failure”, which we’ll explain a bit later. 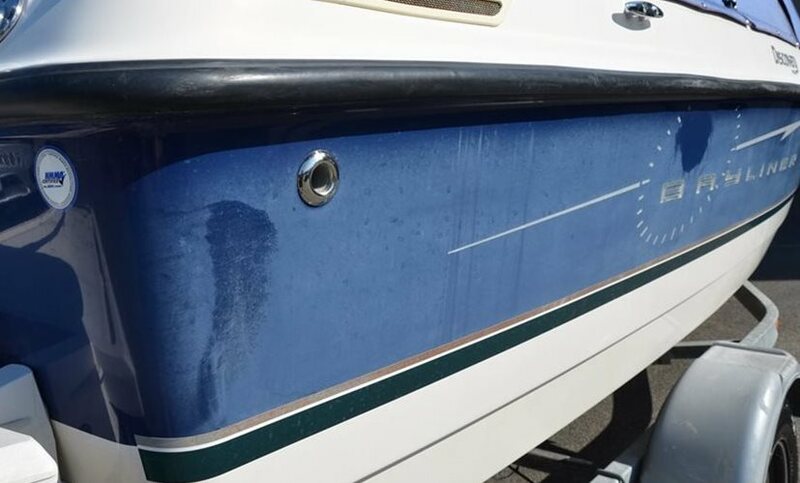 Oxidation is especially prevalent on gel coat surfaces like boats and RVs. This is due the fact that gel coat is more porous than vehicle clear coat paint. It is very important to keep a gel coat protected to avoid the back breaking (not to mention shoulders and arms) labor required to bring a very oxidized gel coat back to life. In most cases paint oxidation can be corrected. The process varies on a case by case basis but basically involves first, cleansing the paint of any contaminants and then possibly wet sanding the paint and finally compounding and/or polishing the paint with a rotary buffer or dual-action polisher or a combination of the two machines with varying compounds and pads. The process of paint correction uses a machine and a variety of gritty to not so gritty compounds and polishes to smooth out the damaged clear coat to remove damaged clear and bring back the shine and gloss. There are many different levels of correction as well. Everything from using a glaze that has fillers and oils to hide the damage but not actually fully removing it to a full paint correction that will leave a deep shine and gloss that will take away almost all imperfections in the paint. What is clear coat failure? A vehicle that has never been waxed will most likely get to the point of oxidation and then clear coat failure. Clear coat failure is when the clear coat has been completely worn away or it has oxidized so bad that it starts to fall off, bubble and peel. Depending on the conditions a vehicle sees on a day to day basis, the quality of the paint job and how the vehicle is cared for clear coat failure can happen rather quickly or take many many years to appear. Can clear coat failure be fixed? Clear coat failure is not something can can be remedied with a detailing paint correction service. In some cases it can be made to look better and will temporarily hide it but it will reappear. The only true way to repair clear coat failure is to have the panel repainted at a professional auto body shop. One of best ways to avoid clear coat failure is to protect your vehicle’s paint with regular wax or sealant applications. The best way to avoid it is to get a ceramic coating professionally installed and maintain it properly. These will protect the paint and keep it from taking all the abuse that it would without it.